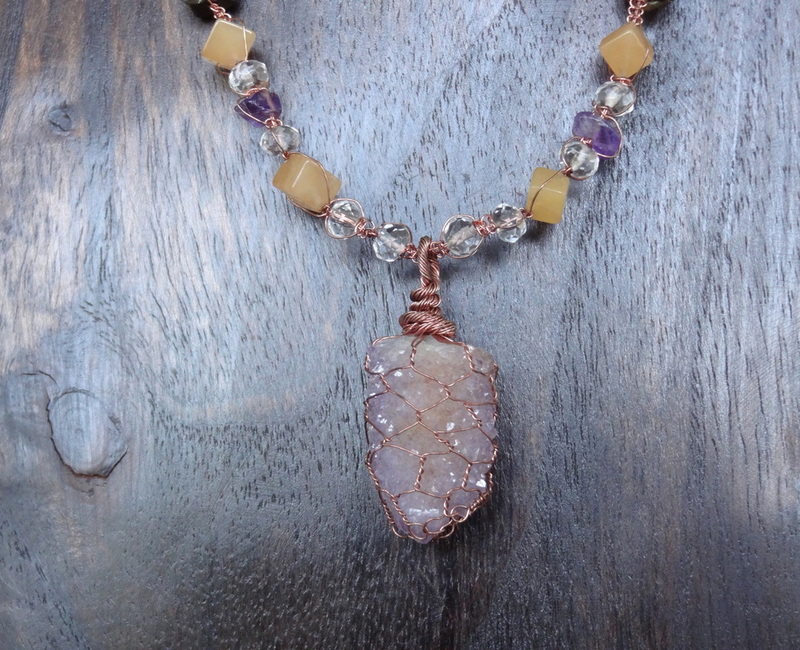 Spirit Quartz- Merging with the higher self, purification, protection, spiritual evolution, and freedom from fear. 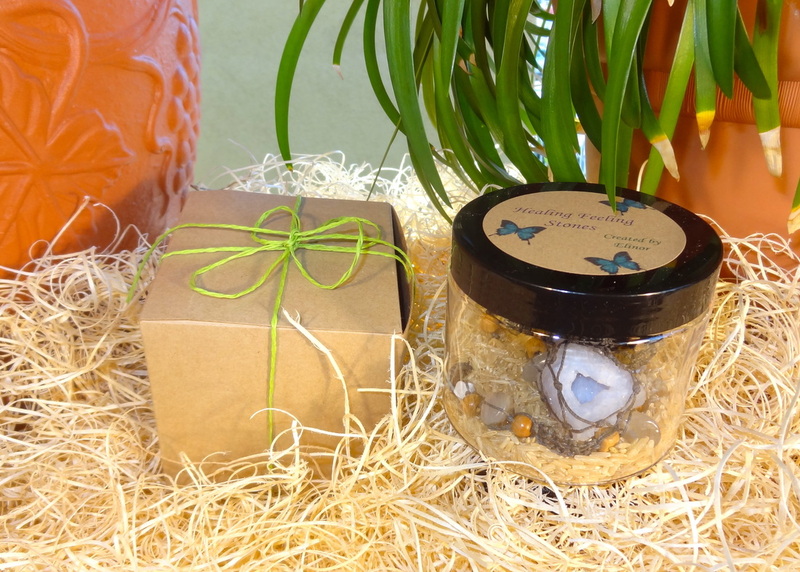 It is a stone for bringing spirit into play with all aspects of one's inner and outer life. 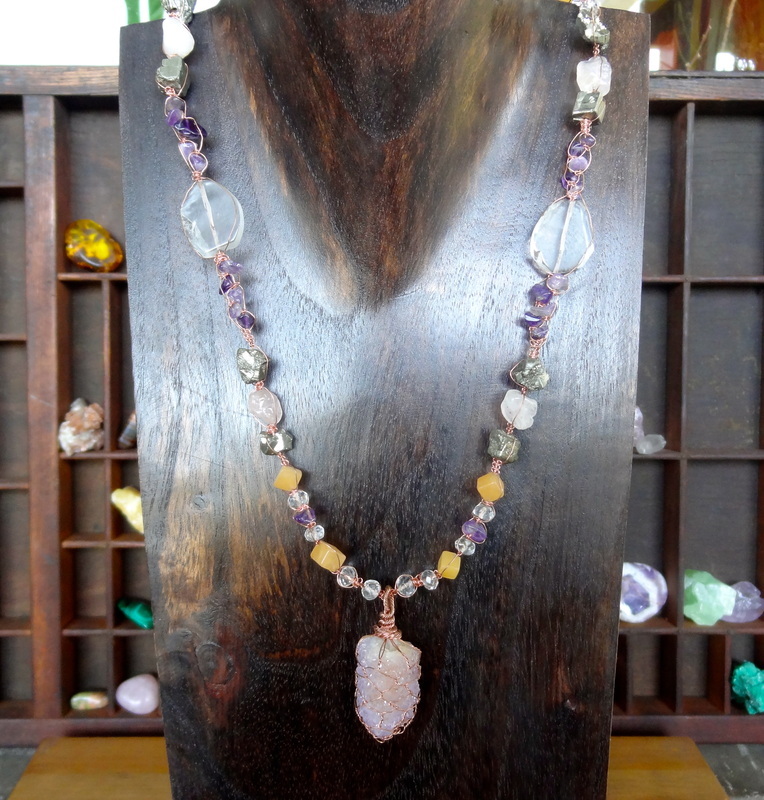 It aligns the every day "local self" with the higher self and assists in manifesting through one's human form.Spirit Quartz-harmonizes the aura, chakras points, and physical body. Crystal Quartz- "The Master Healer" amplifying our intentions, clearing, cleansing, healing, and most importantly programmability! Crystal Quartz is a powerful stone if you know your intention. Red Aventurine- Determination, strength, creativity, sexuality, and of course alignment with one's highest path: Mental Awareness. Allows the spirit to play. Amethyst- Protection, purification, divine connection. Amethyst's ability to activate the higher mind allows one to gain a clearer comprehension of dynamic and root causes of life experiences. Rose Quartz- is one of the most important stones of our time. 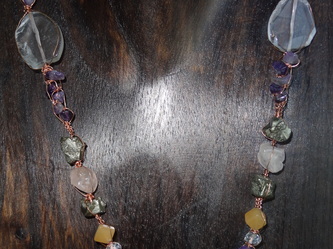 It stimulates and opens the heart chakra, clears the emotional body. Open your heart to receive and express the energy of love. "Spirit into Play" is a very delicate piece. 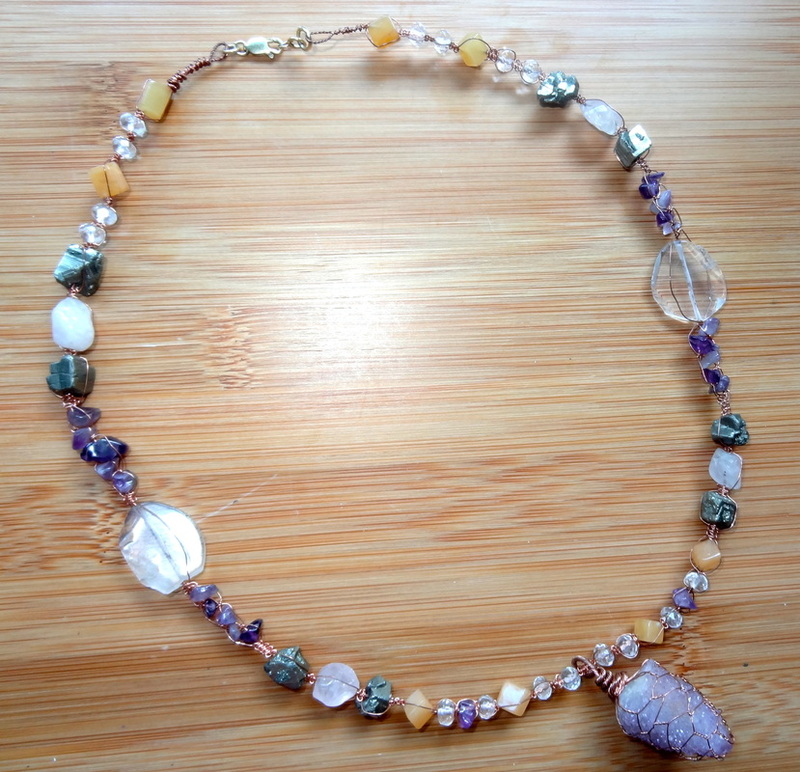 It's a one of a kind handmade necklace using the ancient macrame technique of tying knots with wire. 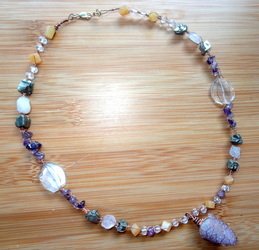 Spirit Quartz- light shiny lavender purple quartz, faceted clear. Amethyst- light/dark purple.Pyrite (Fools Gold)- brassy yellow/ nickel.